After testing and experimentation of several beta versions, now Apple has released the macOS 10.13.3 Final Version (Build 17D47 / 17D2047) for macOS High Sierra powered Mac devices. The latest macOS 10.13.3 Update is instantly available for upgradation and clean installation for free on supported Mac devices. Apple has also released the final macOS Server 5.5 version, iCloud 7.3, and Safari 11.0.3, and iTunes 12.7.3 software updates. In this article, we are also sharing the Direct Download Links of macOS 10.13.3 Final DMG Installer, Combo, and Delta Update Files. As per the official release notes of macOS High Sierra 10.13.3 Final Update, it includes few addition of new features and functionalities, but several bug fixes which include fixation of issue that cause Messages conversations to be listed out of order temporarily by the system, security, stability, performance improvements and enhancements. To get latest macOS 10.13.3 Final Update directly and officially from Apple, Mac users can navigate to App Store >> Software Update option on any Mac laptops or desktop computers. 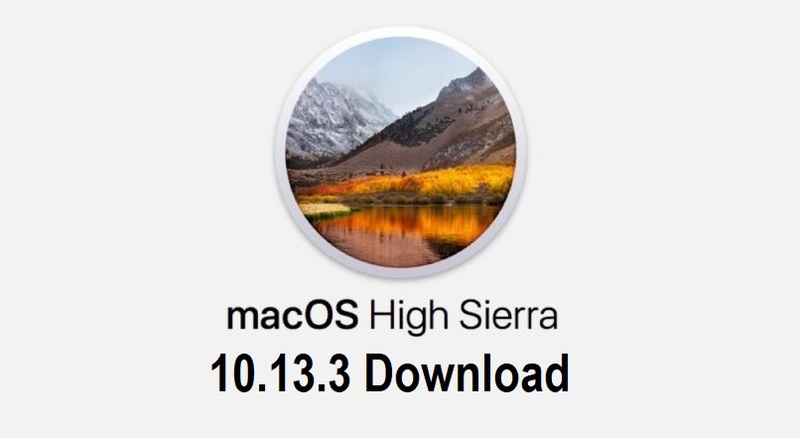 If you want to perform the manual and clean installation of macOS High Sierra 10.13.3 Update without the app store, then you can free download .DMG or .PKG offline installation files available through official direct links and torrent links below. The newest macOS 10.13.3 Final Update is available in different multiple languages which includes; English (US / UK), Catalan, Arabic, Croatian, Danish, Czech, Dutch, French, Finnish, German, Hebrew, Greek, Hindi, Indonesian, Hungarian, Italian, Korean, Japanese, Malay, Polish, Norwegian, Portuguese, Russian, Romanian, Simplified Chinese, Spanish, Slovak, Swedish, Traditional Chinese, Thai, Turkish, Vietnamese, and Ukrainian.